Aux sends can be used for a variety of purposes, such as monitor mixes or signal processing (reverb, delay, compression, etc). Each aux send enables you to control the volume of a specific channel, creating a unique mix that is separate from the main mix. So, if you have four aux sends on your board, you can create four different mixes in addition to your main mix. When using an aux send for signal processing, you are controlling how much of the specific channel you are sending to the external processor. For example, if you are using it for reverb, turning the knob up will add more reverb to that channel. Keep in mind, unless your soundboard allows you to choose, aux sends are post EQ, which means EQ on your mixer will affect not only the main mix, but the aux sends as well. So, if you are using your aux send for a monitor mix and you cut the lows out of a vocal, the lows will be cut in the mains as well as the monitor mix. Aux sends are normally pre-fader by default. However, most mixers have a PRE option which allows you to chose whether the fader should affect the volume of the aux sends or not. PRE is actually short for ‘pre-fader’. So, If PRE is active (button is engaged), the fader will not affect the aux sends. If PRE is inactive (button not engaged), the fader will not only adjust your main mix, but the aux sends as well. 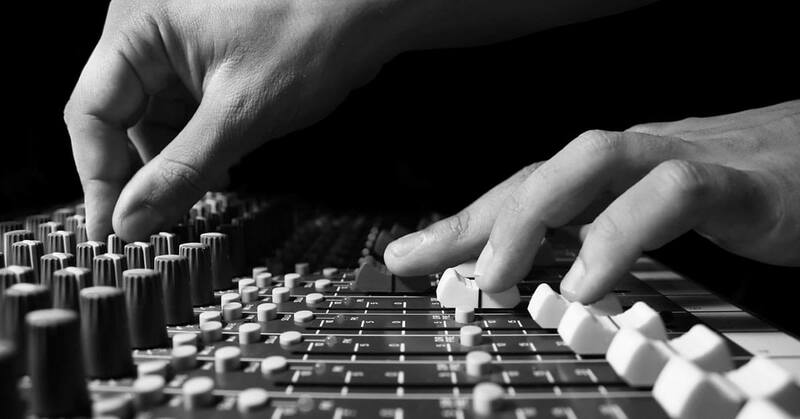 In most cases, PRE should be active so that your fader does not affect the aux sends – especially when they are used for monitor mixes. However, you will probably want the PRE to be inactive on the channel that controls your computer or pre-service music. Otherwise, when you go to fade out the music, it will still be going in the monitors.